Over the course of my life I have worked as an artist, journalist, photographer, writer, filmmaker, and community organizer. In all of these disciplines I am always driven by the need to hear people’s stories, to know something deeper about the world through this act of witnessing. In this witnessing I am compelled by the feeling that I am a part of humanity growing, transforming, evolving. My entire life I have been infatuated with the past. In me there has always been the palpable sensation of existence as moving energy, as if I could feel everything that came before this present moment moving through me, fractured by the consciousness and free will of the present, and exploding into branches of possibility as the future. And so ‘history’ has always been a living thing for me, a sentient, spiritual essence, an amalgamation of every voice, human, animal, plant, mineral and energetic, as ordered and complex and chaotic as nature, always beckoning for commune. As humans we access the past first through our memories. These are our personal stories. We also access the past through written and oral histories. These are the personal stories of others and the stories of the collective. But history, as a linear retelling events, as an academic pursuit of dates and facts and consequences always felt incomplete, lacking the complexity, chaos and nuance that we experience in our daily lives. Human history is indistinguishable from natural history. This is to say that humans and the things we do are indistinguishable from nature and the things it does. Every discovery about nature, its principles and systems, leads us into a deeper appreciation for the ways order and chaos, simplicity and complexity harmoniously create the universe we inhabit. There is no one way of knowing nature, yet there is the innately human drive to reach a single unified understanding of the principles that drive it. And so, as science reveals more through disciplined inquiry, it inevitably leads us back poetry and spirituality as the ultimate way of expressing its revelations. My experience and pursuit of history is much like this; existentially and spiritually inspired, pursued through intellectual rigor and discipline, rewarded with only a glimpse of its complexity, revealed as highly spiritual, and perhaps only ever best expressed through poetry. So in my work moving forward I have chosen to merge all of my studied disciplines into one practice. The inspired inquiry of the artist, the disciplined inquiry of the journalist, the dedicated witnessing of the photographer, the detailed reflection of the writer, the commitment to service of the community organizer, the vulnerable resignation of the poet. My two most recent projects, ‘This Is Who We Are’ and ‘An Elegant Utility’ emerge out of this intent. At their heart is a poem, a vulnerable questioning of the essential nature of our existence. They are a part of a larger body of work, focused on family history as the point of refraction where, in one direction, I can dive inward, seeking a singular truth of my individual existence, and in the other direction explore the infinite branches of our collective history and existence. This process is multi-faceted, complex and unpredictable. Each project installment is approached and presented on its own terms. So while they are a part of one process of inquiry and creation, they are likely to look and feel radically different. I have no specific road map. I am feeling my way through it. ‘An Elegant Utility’ is a poem wrapped in history. It is a statement of philosophy wrapped in person narratives. I am inspired by the life of my grandfather to explore the ways love shows up in the world through one person and shapes many lives. 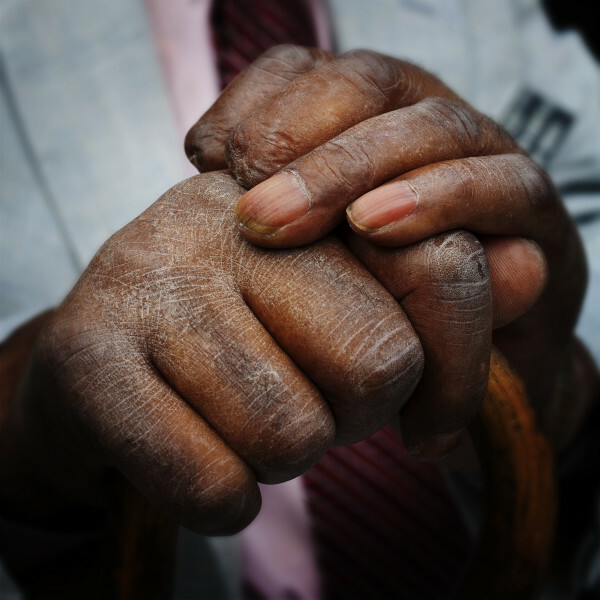 In his case through hammers and nails, roofs, doorways and massive timeworn black hands that helped build shelter for many to congregate under. It showed up in stern gazes that turned to quick smiles and back again and in a generosity whose only requirement in return was integrity and commitment to family. It showed in an open acknowledgement that he was only and strong, as good, and loving, as loved and those around him. This is the poetry. ‘An Elegant Utility’ is also a statement of philosophy about how the institution of family, expressed in this particular way, can be a centering force, allowing us to transform oppression into community building. It is a statement about how community allows us to know who we are and imagine who we can be. In this moment, after the systematic dismantling of my community, I am collecting these stories as a way of gathering up what is most useful to rebuild. 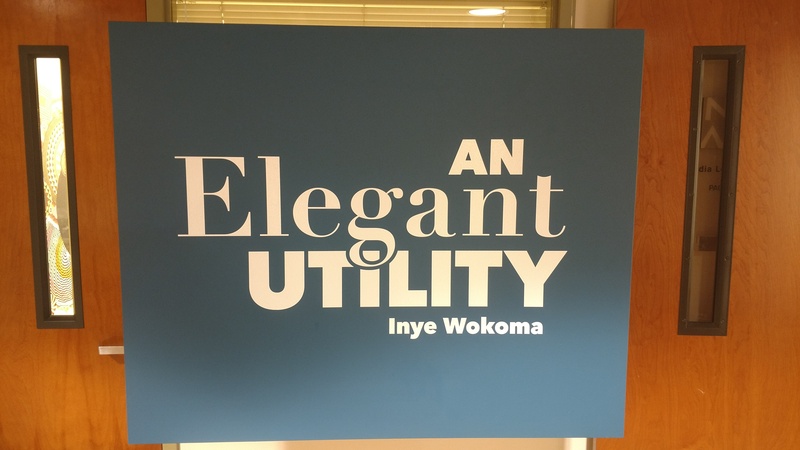 The stories in ‘An Elegant Utility’ are rooted in a specific historical context. They are about being Black. The philosophy undergirding the project is about being human. The mediation driving the project is about co-creating in the universe. Being unapologetically Black and unapologetically human is not a contradiction, though the philosophy western hegemony would have you believe so. As Black people we are berated to absolve ourselves of our blackness in favor of simply being human. This is a philosophical sleight of hand, a con in a world where European thought seeks to eclipse every other way of understanding and being human. By default, this positions the progenitors of this culture as inherently superior. It is a fantasy, and so recognizing we can relax an embrace the blackness of these stories as opening multiple windows into the human condition and offering unique points of view. This is certainly an on-going revolutionary act for black people in American. But more importantly, it is a revolutionary act more White people MUST embrace. Let it be black, let it be human, let be universal. This is the way nature speaks to us, in fractals, the whole represented in each and every part.